Juvenile. 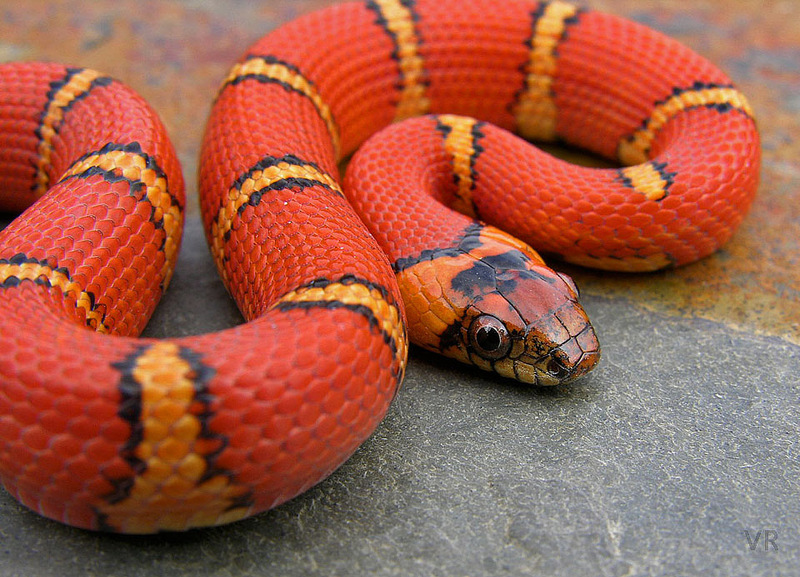 Milk snake phase. For most of our breeding history with Variable Kingsnakes we opted to breed leonis X milk snake finding that the crosses tended to keep the variation higher.